The architect of the cuts at Sydney University is the Vice-Chancellor Michael Spence. His arrogance and determination in pushing through the cuts has earned him the wrath of the student and staff body. In the first week of semester, staff passed a motion of no confidence in him, and on the front of the Student Representative Council’s “counter course handbook” was a picture of him as Harry Potter villian Voldemort. In response to his invitation to riot police to attack students protesting the cuts on campus in May the National Tertiary Education Union (NTEU) has called for his resignation. Despite saying his own failure to predict changing overseas enrolments is the reason the cuts are needed, he has received a performance bonus of $169,000—taking his total pay to $1 million, literally a figure in the top 0.1 per cent of Australia’s incomes. And he’s hardly ashamed of it, in fact, he links to an article about it on his web site. Spence doesn’t own Sydney University, but he controls how it’s run. The market model of education means it’s his job to make the University competitive through cost-cutting and expansion. His role, and that of the rest of management, is the same as that of a CEO at a major corporation. The Deputy Vice-Chancellor, Stephen Garton, justified the cuts by referring to cuts at ANU and saying, “if we stand still we will be left behind.” So in the name of competition, Spence and management are pushing already stretched staff to work harder and using university money to invest in buildings that they think will raise the University’s profile. Quality of education hardly figures as a priority. Yet he was happy to ask the government for more money for the China Research Centre, but has done no such thing to protect staff jobs. Not to mention the University is operating at a $116 million surplus, the third highest in Australia. As well as that, Spence and other Vice-Chancellors do not have clean hands when it comes to neo-liberal government policies—they’ve lobbied for things like the introduction of upfront fees and uncapping student numbers. Spence prides himself on his ability to solicit corporate donations. At Oxford, he created the Smith School of Climate and Enterprise, funded by the world’s two biggest polluters, BP and Shell. BP is notorious for corporate greenwashing and Shell’s carbon footprint is equal to that of 120 developing countries. He keeps similar company on the Sydney University Senate, where he sits alongside Alec Brennan, ex-CEO of sugar company CSR, Alan Cameron, who sits on the board of Westpac’s insurance arm, and the Chairperson of Origin Energy, Kevin McCann, who defends the controversial fracking process for coal seam gas. 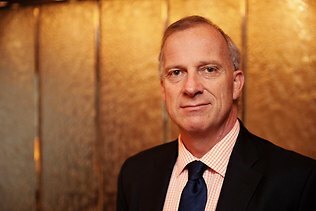 Michael Spence and the management of univerisities in Australia are not victims of the neo-liberal turn, but its champions.